Sometimes the damage is temporary – and sometimes it results in permanent loss of hearing. The risk for ototoxicity increases as the drug accumulates in your body. According to the American Speech-Language-Hearing Association (ASHA), there are currently more than 200 medications and chemicals known to cause hearing loss and balance disorders. If you are taking any of these classes of drugs, ask your doctor if hearing loss is a concern. While these medications effectively fight infections, a specific classification of antibiotics known as aminoglycosides are considered to be ototoxic drugs. These are mostly prescribed to treat serious infections such as meningitis when other antibiotics haven’t worked. Research scientists from the Oregon Hearing Research Center at Oregon Health and Science University believe that’s because these drugs are transported into the inner ear by a nutrient pathway that usually blocks potentially harmful elements in the blood from damaging its delicate hair cells. Their findings were published in a November 2011 issue of Scientific Reports. 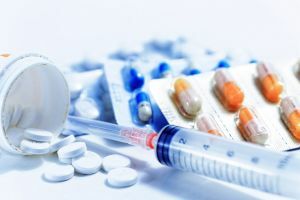 Cisplatin, a platinum-based chemotherapy, is often used to treat bladder, ovarian, and testicular cancers that have spread, as well as some other forms of cancer. Hearing health side effects from this specific chemotherapy drug range from tinnitus and vertigo to temporary and permanent hearing loss. Scientists at Oregon Health and Science University, who discovered a strong correlation between platinum-based chemotherapy and hearing loss, are currently developing ways to deliver chemotherapy to tumors without damaging hearing health. Although aspirin, acetaminophen and non-steroidal anti-inflammatory drugs (NSAID) are effective at reducing the inflammation that causes aches and pains, a study published in the March 2010 issue of The American Journal of Medicine suggests that regular use of these drugs can be detrimental to your hearing health. The study, conducted by scientists at Harvard University, Brigham and Women’s Hospital, Vanderbilt University and the Massachusetts Eye and Ear Infirmary found an increased risk of hearing loss in men younger than 60 who regularly used NSAIDs. If you’re taking daily aspirin recommended by your physician, ask about the effects on your hearing health. Schedule a baseline hearing test with a local hearing care specialist to check your hearing before ototoxic drugs do any damage to your ears. You can then work with your clinician to monitor changes and take action if necessary.